Fancy a mountain getaway? 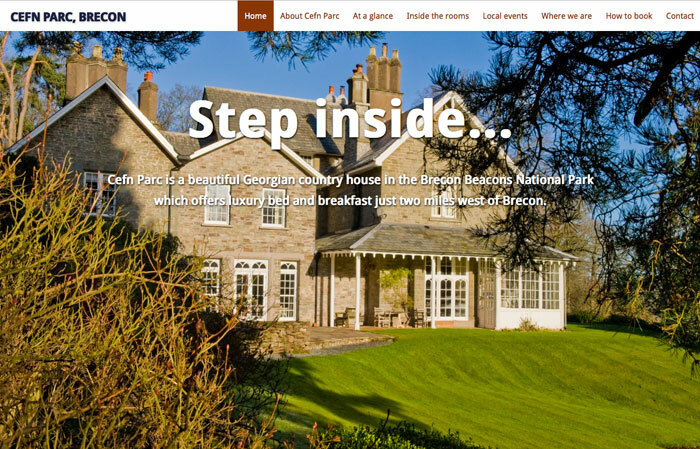 Well, Fiona and Simon Stephenson own Cefn Parc – a splendid Georgian / early Victorian 'dower' house near Brecon – and recently decided to offer B&B to guests coming to the area for outdoor activities or local festivals and events. As the house and grounds are so photogenic (we were supplied wonderful pictures from photographer Mark Kerr), we went really big on images for their website.